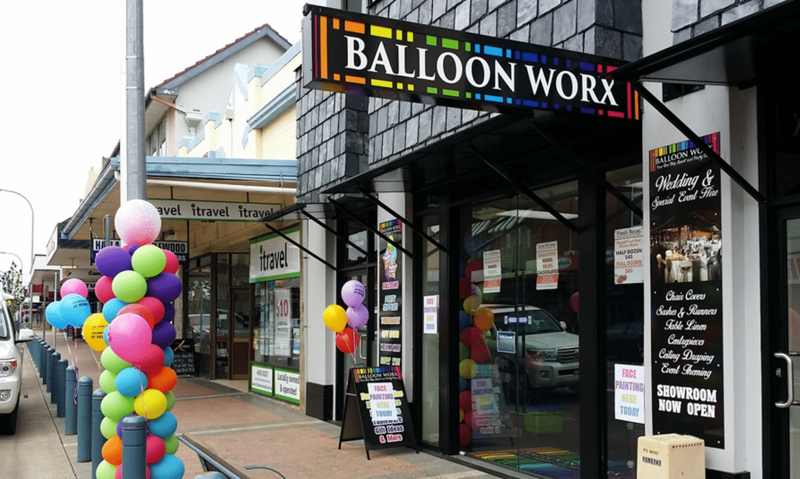 Balloon Worx has been in Cessnock since January 2005, while we have had a few changes in location to better accommodate the changing business, our current showroom is conveniently located within the heart of Cessnock. A family owned and operated business ensures that all of our staff have the passion to succeed and provide the best service and product available. Our reputation within the local community is testament to that. We offer a wide range of products available in store, and our website will soon list all items available. When ordering online stock may be limited in our store, if you do place an order and stock is not available we will contact you with the quantity available, and when new stock is expected to fulfil your order. You can always call us on 49913045 to check stock availability. Our staff have the experience and knowledge to help your next event be the talk of the town! From a single balloon to thousands, we have the experience to take the worry out of your event! Please feel free to give us a call on 4991 3045, or come and see our staff at 1/121 Vincent St Cessnock, near the Commonwealth Bank.